Radon Testing & Mitigation Services | Pinchin Ltd.
Pinchin's C-NRPP* Certified Staff Deliver Professional Radon Testing and Mitigation Services for Due Diligence and Occupant Health and Safety. 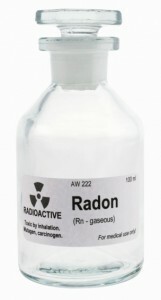 Radon is a naturally occurring radioactive gas that is present outdoors and within every building. The problem arises when too much radon accumulates inside a building and becomes an indoor air quality issue and health hazard. You cannot see, smell or taste radon and as a result, elevated levels could be present inside a building and you would never know without testing for it. How does Radon Enter and Affect your Building? A common misconception about radon is that it can only enter buildings with basements. Radon can potentially enter any building that is in contact with the underlying soil and/or rock. More information on why to test for Radon in Commercial/Institutional Buildings and Homes. Testing for radon is a relatively simple procedure when testing a single family dwelling but is more complicated when testing a larger building such as a school or office building. Considerations include occupancy patterns within rooms or areas, and the proximity of the device to the floor, walls, ceiling, other objects and mechanical systems in the test area. More information on short and long term testing for radon. Our radon mitigation providers are certified under the Canadian National Radon Proficiency Program (C-NRPP). We can design a system that will reduce radon safely and effectively from any home or building.